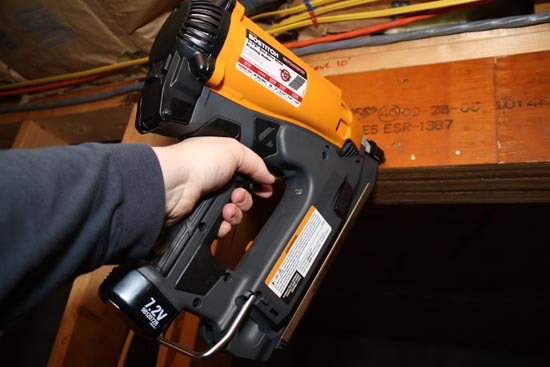 Cordless framing nailers are becoming more and more popular on job sites. In fact it’s likely that cordless or gas powered framers will continue to grow in popularity until pneumatics are almost completely driven off. 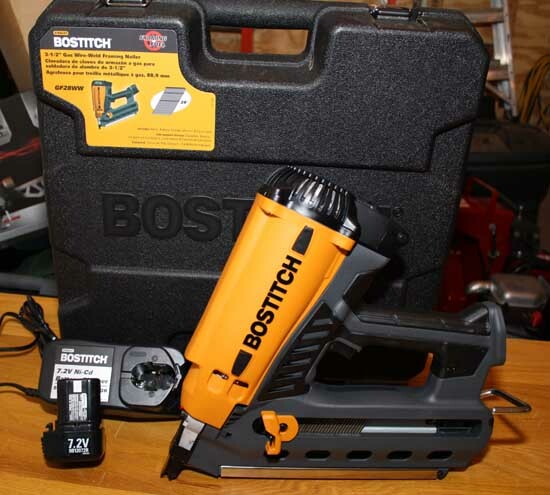 So when Bostitch asked me to test their all new Gas-Powered Framing Nailer (GF28WW) I was definitely interested. Like many of the other cordless framers on the market this one uses a combination of battery power and gas to fire nails into the substrate. The battery creates a spark that ignites the fuel in the firing chamber which pushes the drive piston. Lightweight at just 8.3 lbs. I’ve been using cordless framers for over 5 years now and I’ve seen them go from a specialty tool that only a few contractors used to a tool that is in almost every job trailer I walk past. So it’s no surprise that every manufacturer is scrambling to get on the “train” so to speak with their own versions. While I’ve used Bostitch pneumatic nailers for over 20 years this is the first cordless framing version that I’ve had the pleasure of using. Out of the box the GF28WW is very similar in design to the other “orange” brand cordless framer that we’ve used quite extensively. The nailer comes in a really nice case (finally a company that doesn’t skimp on cases, rugged plastic, good metal clasps, great label), including a battery charger, and battery. 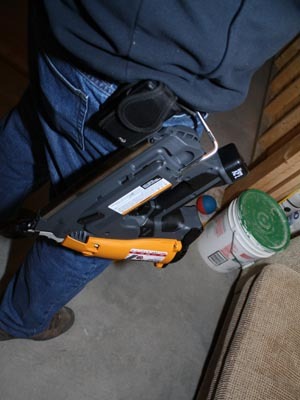 The GF28WW cordless nailer uses a high-pressure gas for operation in any type of weather. 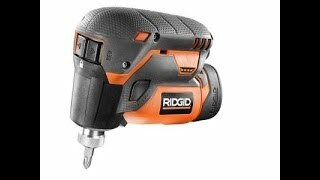 Its fuel cell, which is expected to drive approximately 1,200 nails per canister under normal operating conditions, provides a convertible valve module to offer compatibility with Paslode®, Senco®, and Hitachi® cordless framing nailers as well. The new Bostitch gas-powered framing nailer uses a 7.2 volt Ni-Cd battery to create the combustion that drives framing nails between 2” to 3-1/2” in length (.113 to .131 in diameter). Its one-hour battery charger helps to reduce downtime by recharging the battery quickly and efficiently. Weighing in at 8.3 lbs (with the battery) it’s about a half pound heavier than the Paslode version. Like most of these gas powered nailers the nose is pretty heavy which makes the balance a bit strange compared to pneumatic nailers. This is partly due to the fact that most cordless nailers use a shorter nail clip (not exactly sure why other than maybe weight). Overall the balance and grip are fairly consistent with other brands. I tested the GF28WW over the last couple of months on several small framing projects. The most recent project involved framing some walls in my basement. Being able to use this framer in the basement without carrying a heavy compressor around back through the deep snow was a nice benefit. As you can see in the photo above I was able to easily nail LVL headers. The GF28WW had plenty of power to drive the framing nails flush into the dense material. The recovery between shots is pretty good which means you can shoot nail after nail at a pretty steady rate of every 1 to 2 seconds. 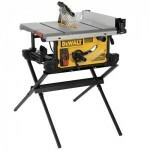 For me these type of nailers must have sufficient power to nail engineered lumber. The GF28WW has several nice features and a couple things I’d change. 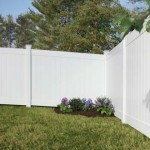 It comes with a really sturdy wide rafter hook that also functions as a belt hook. One of the tasks that we use cordless framers for more than anything is working on trusses. Being able to climb around trusses safely is really important and eliminating hoses is a big part of that. So the rafter hook / belt hook comes in very handy! I really like the housing/cover for the fuel cell. The cover is very easy to close compared to some of the other cordless nailers we’ve used. I also really liked the “pusher knob” which pushes the nails towards the firing pin. The pusher knob has a really easy lever for releasing the nails. If I had one complaint/suggestion for Bostitch it would be the firing head. 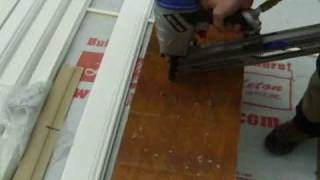 I”m not a huge fan of having to use a tool to free jambs. This is especially true on tools that we use while climbing on trusses and roofs. Frankly I’ve seen enough tool-less features for removing the firing head housing that it should be standard equipment on today’s framers. I also don’t like that the depth of drive has to be done using a wrench. Again this could easily be changed to a tool-less feature. 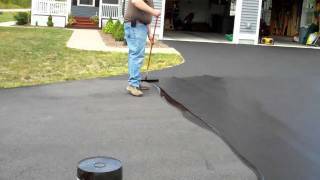 I find that if it’s not easy to do the guys on the crew will likely never fix the depth. The Bostitch® 3-1/2″ Gas Wire-Weld Framing Nailer Model GF28WW is an excellent cordless framing option. 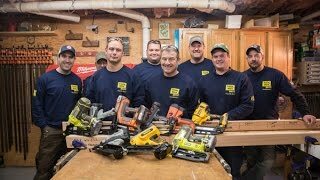 Bostitch has been making nailers for years so they actually understand what it takes to design and manufacture a quality nail gun. 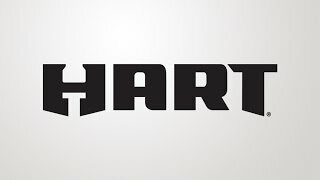 Like most tools that I review this one has a few small features that I’d like to see change but overall it’s a solid tool that offers great performance. 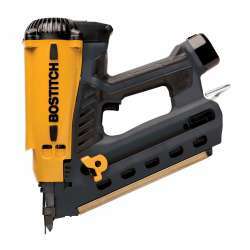 This nail gun can be purchased at authorized Bostitch retailers and several online locations. 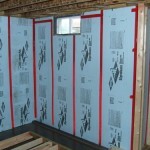 It’s priced about 10% less than the current Paslode framer so it’s a great value. You can visit Amazon at the link below if you want to buy one online. I know it’s tough to get Paslode nail and fuels separate. What about Bostitch? Do you have to use their brand nails? Ethan – Bostich sells the fuel separately. The nails are a full head, wire collated, 28 degree nail which also fits many of their pneumatic nailers. So the answer is they offer a bit more flexibility if you like buying them separately. How many shots out of a battery? Is it one battery charge to one fuel canister (or 1200 nails)? Just one battery included? Jeff – I’m not really sure. I’ve shot probably 500 nails, still on the first fuel and battery charge. I’ll see what Bostitch has to say. I’m told by the folks at Bostitch that a battery charge should do about 4,000 nails. I’m’ down with a cordless nailer. Seems like a great fit for a DIY type with small scale framing projects. 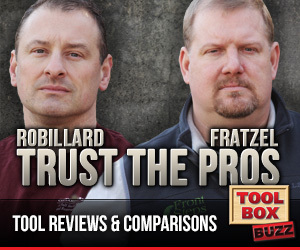 Honestly they are both very similar and frankly both brands make really good quality tools. 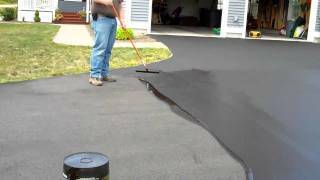 Paslode has been doing it longer so I’d probably give them a slight advantage. This is now available for $150 at Menards. 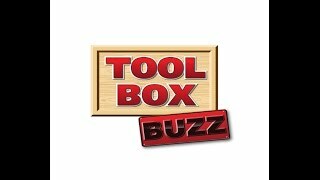 Any updates on your opinion of this tool? I’m finding it hard to pass up at this price, even though as a DIYer it probably wouldn’t get a ton of use. Thanks for the great site. It’s a top notch framing nailer. I’d highly recommend it. Good luck. Having never used one of these before I sat down and went though all the directions. I was driving the nails a little deep so adjusted to a good depth. I ran about 20 nails and it jammed. I removed the two screws up top, cleared the nail, but now it will not fire. It cycles but when I pull the trigger, nothing happens. Any ideas? Brian – Can you be more specific about which two screws you removed? Sorry for not getting back sooner. Let’s see if I can get the lingo correct. I think the end where the nails come out when fired is the contact arm. 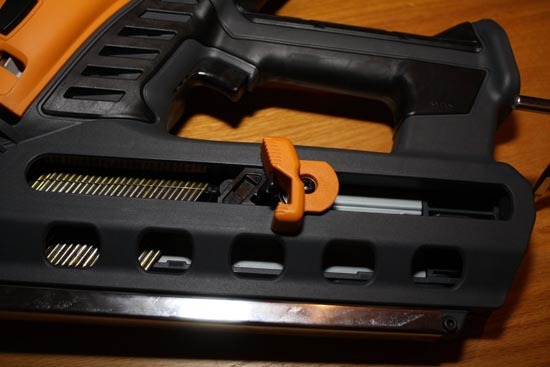 If you hold the gun out as if you where going drive a nail, on top of the contact arm, are three hex screws. One of them adjusts the drive depth and is in the center, forward of the other two screws. The two other screws, on opposites of the center screw, are the ones I opened (pg 13of the op. & maintain. booklet). When I did this the handle fell away and I was able to remove the nails. I removed mine and put it back together and it fires fine. This may sound stupid, but humor me, can you put a new gas cartridge in it and charge the battery, then try again. These type of guns are famous for seeming to be broken when all it took was a new gas cartridge or a charged battery. I love my bostitch framing nailer. But when it quit working I pulled it apart and found that the fan had pulled it self free of the pin on the motor. Now it won’t stay on and I havnt been able to find any replacement parts or ideas on how to fix it. I showed a tool mechanic in town and he said I need a new motor. But the motor is fine it’s the pin that holds the fan and slips over the motor drive pin that’s slipping off. I am having a problem with finding replacement framing fuel cartridges,what is the right part # for the cartridges? GF28WW nail gun.